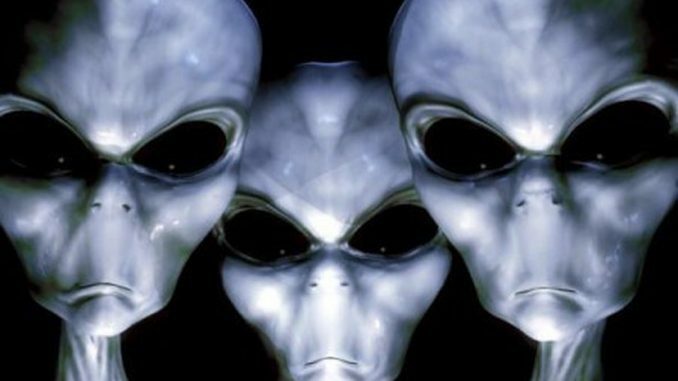 A former US naval officer has revealed that the U.S. military have proof that UFOs and aliens exist on Earth, claiming that he has seen pictures of aliens in top-secret military files. The whistleblower has said he needs to remain anonymous due to other military whistleblowers being killed after trying to expose the alien conspiracy publicly. The man, who says he was a third-class petty officer at a US Naval telecommunications centre during the 1980s, before more senior posts in the US Army and Navy Seals, claims to have valuable new evidence about the Bizarre Rendlesham UK UFO mass sightings, in Suffolk in 1980. The married man, now living in Ohio, said he was based at NAS Moffett Field, in California, and he was there from February 1986 to October 1989, while also working with contacts in Silicone Valley. The veteran said he was now able to speak because his confidentiality agreement with the US authorities expired in 2014. Asked why he had not removed some of the pictures or other evidence, he said: “Legally, you are not authorised to walk off with classified information. That is treason and treason is a felony. “I do not possess anything other than my testimony and documents that authorise that I legitimately had the individual top-secret security clearances. “But this is a rabbit hole that goes very deep. The whistleblower, who has asked to remain anonymous, said his first dealing with UFOs came from a more senior colleague. He described a man in his 60s with higher security clearance telling him about the mysterious Rendlesham Forest case. The Rendlesham legend has been dubbed Britain’s Roswell the famous ‘UFO crash’ outside the town in New Mexico, USA, in July 1947. The UK alien sighting happened when three US officers based at RAF Bentwaters claimed a “triangular shaped craft” landed in neighbouring woods in the early hours of December 26, 1980. It has led to several reported sightings on the night by the public and several books and conspiracies. Our source said of his superiour: “He was the one who initially told me about Rendlesham Forest. “He came to our air station in 1987. “He had been at a communications station north of London for 11 years. “It was a joint US/UK station and he was there when Rendlesham happened. The source said he had no contact with his former colleague since they parted, so did not know if the man, who would now be in his 90s, was still alive. But, the source said he has given a four-hour statement to US-based UFO investigation organisation, the Mutual UFO Network (MUFON), about what he saw, including what light he can shed on Rendlesham. He is also working with Nick Pope, a former UK MoD UFO investigator, and plans to release this statement at a later stage. He said there were colleagues he knew of whose deaths had been connected to aliens or whistle blowing about them and the truth behind how they died had been covered up. He said: “I held a serious position in the US military, and, if I can shed light on any aspect of any situations to help those individuals for closure, I feel a moral duty to. “I was under a 25-year obligation not talk about what I saw, read, witnessed, or overheard. “Now I am at the stage where I can talk freely about certain things. “The Government wants there to be enough water under the bridge before someone speaks, with incidents like Rendlesham Forest people are emotionally charged. He cited one example of an alleged alien whistleblower who was found dead in 1996, with the verdict given as suicide. But the man claimed this individual had warned friends and family his life was in danger, and if he was found dead it would mean he had been murdered. Details of this case are widely available online, so the example does nothing to confirm his claims as genuine. However, Mr Pope, who was charged by the MoD with investigating baffling UK UFO cases, including the Rendlesham incident, said: “I’ve actually had some personal communication with this individual, and have no doubts about his background. There is no way of currently confirming his account, but MUFON is investigating. The report he filed to MUFON, saying he wants to help reach “disclosure”. 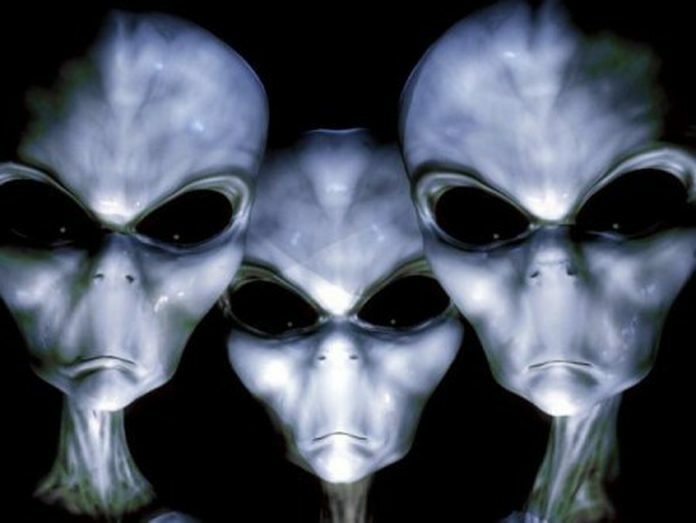 The disclosure movement among the UFO fraternity is calling for all world governments to make public all of their top secret files on UFO visitations. In the report he said: “I personally handled, viewed and delivered thousands of documents involving UFO/ET Projects. Research shows that at the time in question, Moffett Field was a naval air base, but is now a MFA as a restricted federal airfield, run by NASA. Leaked Documents: Saudi Arabia And Israel Forming Joint Military?